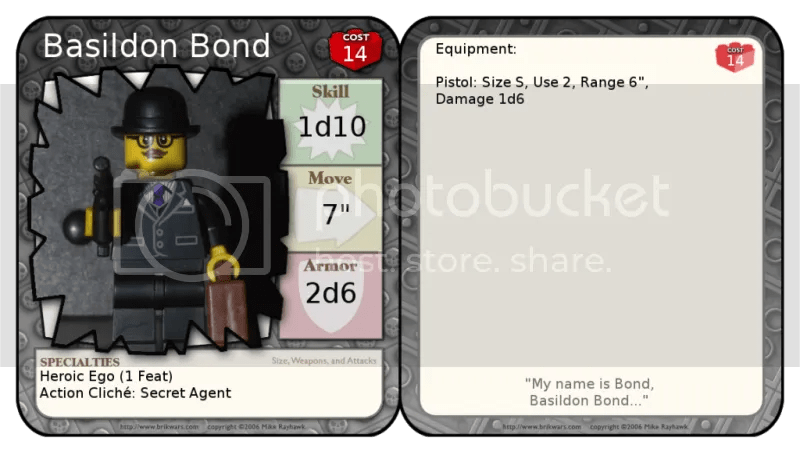 Basildon Bond is an Agent of the Republic of Blighty (Nord), with a license to steal foreign secrets, kill, and seduce – and not necessarily in that exact order, with the free reign that Bas has been given. Sometimes he is sent with Grunge Smith on missions, which annoys him no end. It also greatly annoys Grunge Smith and cramps his style somewhat. They get on fine outside of missions, and are sometimes found drinking together, but on missions their rivalry comes to the fore.